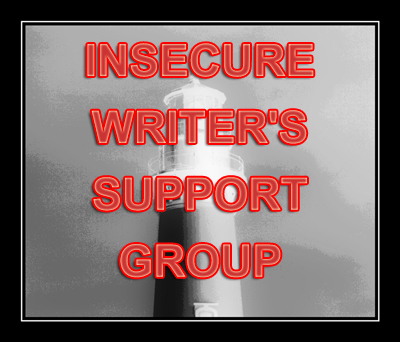 Insecure Writer’s Support Group – How much writing do writers do? I’m back to posting about my insecurities. Not like my insecurities went away, but I was too busy to write about them last month. First, big thank you to our awesome co-hosts today, Eva Solar, Melanie Schulz, Lisa-Buie Collard, and Stephen Tremp! And, as always, huge thanks to Alex. J. Cavanaugh for his leadership. As I writer, when I am working on a first draft of a WIP, I tend to not like to do anything else. It is my favorite part about this writing job and I allow my brain to be consumed by it, enjoy it, mentally live it until I get the words on the page. But, as a writer, I don’t get to write as much as I would like to. That is so disappointing and counterproductive. I know …if you want to get better, get recognized, get a royalty check that allows you to do this full time, you have to find time to write. I am trying. As soon as I finish, plotting, editing, marketing, Facebooking, Tweeting, book related socializing, networking, signing, mailing, filing, editing, editing, editing. Oh, I said that already. As a writer, how much writing do you get to do? *Courtesy of Jennifer Armintrout. Scroll down her feed and check out her video post on May 2nd. It helped. Get the prelims out of the way, #IWSG is here to help! Check out our co-host, Gwen Gardner, Dolorah, Sarah Foster, and M. Pax! Visit and show some love to our fearless creator, Alex J. Cavanaugh. 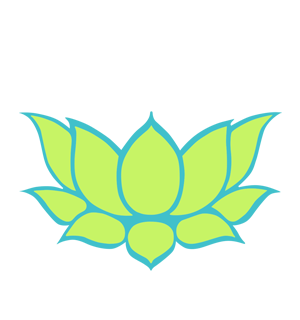 Check out some of the other group member’s post and help them out. As the new year starts, I find myself discovering new thing about writing. I am doing a rewrite of a novel that I finished (67,000 words) back in 2013. Rewrites are hard. My novel sales can go from a steady few books sold a day, to crickets in a matter of weeks. Selling books is hard. I took the entire month of December off and getting back to work took longer than I imagined. Staying on task is hard. I had two of my beta readers read the final book in my series, Hope for Us and they loved it. Finding people who support my writing is amazing and makes all the hard stuff worth it. My short bio: Sydney Aaliyah Michelle is a Contemporary Romance writer, a voracious reader and movie fanatic who hails from Texas. After surviving 5 1/2 years living in China, she had the courage to finally pursue her passion and become a writer. Huge thank you to our awesome co-hosts for the January 7 posting of the IWSG, Elizabeth Seckman, Lisa Buie-Collard, Chrys Fey, and Michelle Wallace! I also wanted to say thank you to Alex J. Cavanaugh for creating a safe place for those of us who need help. I have a painful/agonizing/gut-wrenching/creativity-stifling case of ENVY! I know, it is so unhealthy, but I can’t help it. It started early last month when I punished myself by stalking some new releases, all who out performed my new release. Everywhere I turned, it seemed like people where hitting that top 100 list, author’s were releasing their 8th/12th/ 20th novel (I’m on my 3rd). Books in my genre where out selling me left and right. I even found a new adult sports romance debut novel that was blowing up the charts while my third new adult sports romance novel is basking in mediocrity. Don’t get me wrong, I am happy for each and every author who is successful doing what we do. I want all of us to be a success, but my mind hasn’t been in the right place lately. HELP!!!! Am I a terrible person? How do you get over envying other people’s success? Click here and visit the other blogs in the group. Huge thank you to the awesome co-hosts for the June 4 posting of the IWSG C. Lee McKenzie, Tracy Jo, Melanie Schulz, and LG Keltner! Special shout out to our captain, Mr. Alex J. Cavanaugh. Make sure you visit them and as many of the support group as you can. I’m not sure if I’m actually looking for advice. I’ve heard it all. I feel the need to share. In hopes that others have had this particular issue. The night before my release, I posted on a FB Group how I didn’t think I would need a peep talk prior to my book release, but later that night, I couldn’t sleep and it seemed like I was seconds away from an anxiety attack. What was I so scared of, well, no sales. That’s what scared me. What if not one person bought my book. Ridiculous, I know. Well, the first day went better then expected, but now I’m depressed again. Anyone else experience the Book Release Blues? What did you do to get over it? I also wanted to thank everyone who supported me during the release of my debut novel, Another New Life. I need to remind myself it’s not every day a person get’s to realize a dream. I am so grateful.